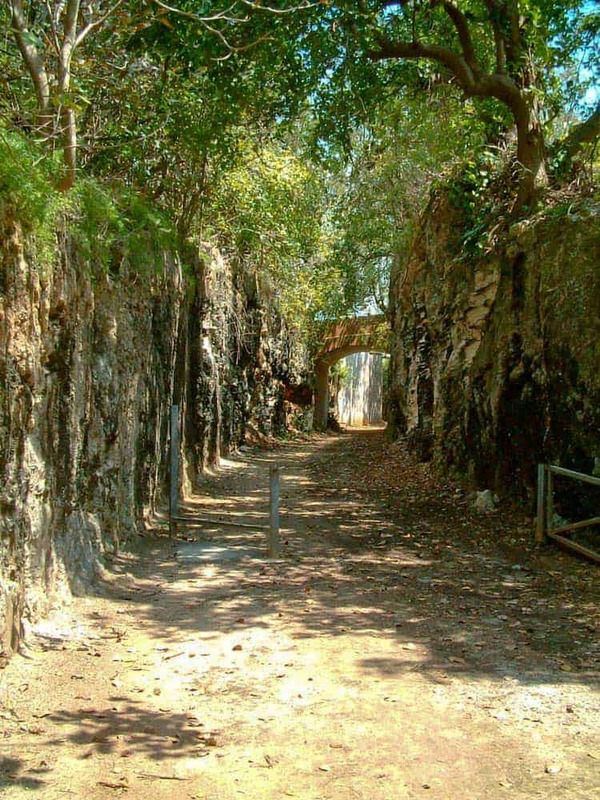 One of the best ways to explore Bermuda is along the Railway Trail. The last train has long since departed, leaving the route of the Bermuda’s former railroad to walkers, cyclists and horse riders. The railway, affectionately known as ‘Old Rattle and Shake’, began its short existence in 1931 and, per mile, was the most expensive railway ever built. An economic disaster, it was closed in 1948 and the rolling stock shipped off to British Guiana. In the 1980’s the government converted the route into a trail that runs almost the entire length of Bermuda. There’s a significant gap between Paget and Devonshire Parishes, and numerous smaller ones where a main road needs to be briefly followed. However, for the most part, the Railway Trail offers secluded and unique traffic-free views of Bermuda. The Bermuda Department of Tourism produce a brochure, Bermuda East to West, that contains an excellent guide to the Railway Trail. It’s available for free from the Visitor Information Centres. A footbridge across Bailey’s Bay, connecting sections of the Railway Trail, should be complete within the next month. The project has been organised and completed by the Friends of the Bermuda Railway. The volunteer group completed a first bridge at Winton Hill earlier this year. Another bridge could be built in the future, linking sections at Coney Island. We wanted to do something different on our vacation this year so decided to walk along the Railway Trail. We got the map from the helpful lady at the tourist information centre in Hamilton. We walked from Somerset Bridge to Somerset Village. This was only about 2 miles. The whole Railway Trail is much longer. We took this route as it was close to Dockyard where our ship was docked and we were also advised that this was one of the prettiest sections. The trail was generally well marked and there were lots of interesting things to see on the way such as Scaur Hill Fort and the Heydon Trust Estate. Somerset Bridge was also a very picturesque little area. Next time we come back we’ll try and walk a different section of the trail. This had to be one of the best hiking trips with nice places for picnics or swimming and always an ocean view. The Railway Trail is so amazing! The place is very relaxing. The section of the Railway Trail between Coney Island and Shelly Bay Beach has some great ocean views.